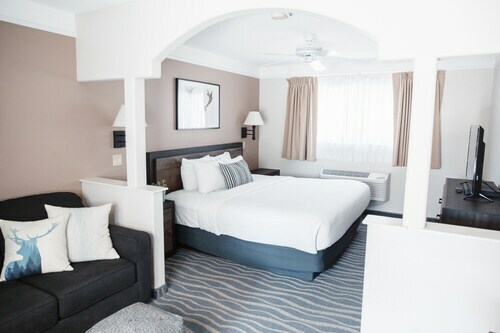 Situated in the historical district, this hotel is 1.5 mi (2.4 km) from Mount Shasta City Park and within 9 mi (15 km) of Mossbrae Falls and Hedge Creek Falls. Tauhindauli Park and Weed Historic Lumber Town Museum are also within 9 mi (15 km). 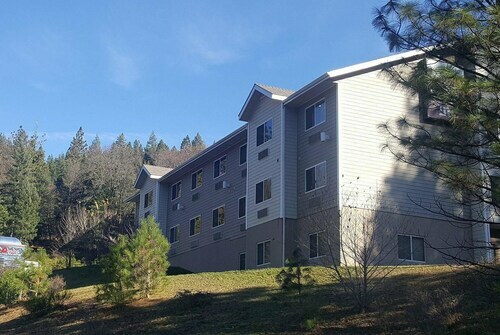 Situated in the mountains, this hotel is 1.6 mi (2.6 km) from Mount Shasta City Park and within 9 mi (15 km) of Mossbrae Falls and Hedge Creek Falls. Mount Shasta Ski Park and Tauhindauli Park are also within 12 mi (20 km). 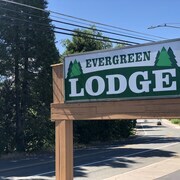 Situated in the mountains, this motel is 1.7 mi (2.8 km) from Mount Shasta City Park and within 9 mi (15 km) of Mossbrae Falls and Hedge Creek Falls. Mt. Shasta Nordic Center and Mount Shasta Ski Park are also within 12 mi (20 km). 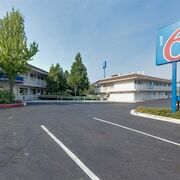 Situated on the Strip, this motel is 1.9 mi (3.1 km) from Mount Shasta City Park and within 6 mi (10 km) of Mossbrae Falls and Hedge Creek Falls. Mount Shasta Ski Park and Tauhindauli Park are also within 12 mi (20 km). 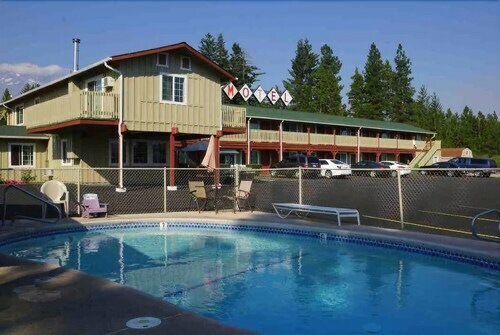 Situated in Mount Shasta, this motel is 2.1 mi (3.4 km) from Mount Shasta City Park and within 6 mi (10 km) of Mossbrae Falls and Hedge Creek Falls. Mount Shasta Ski Park and Tauhindauli Park are also within 12 mi (20 km). 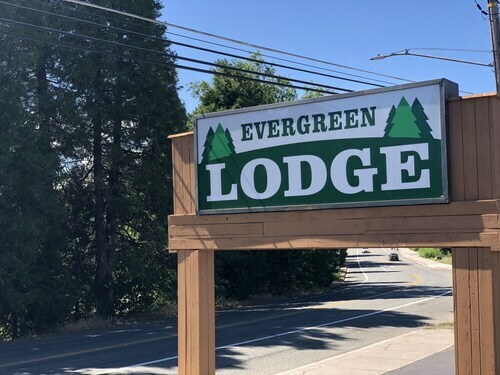 Situated in the mountains, this motel is 2.1 mi (3.4 km) from Mount Shasta City Park and within 6 mi (10 km) of Mossbrae Falls and Hedge Creek Falls. Mt. Shasta Nordic Center and Mount Shasta Ski Park are also within 12 mi (20 km). 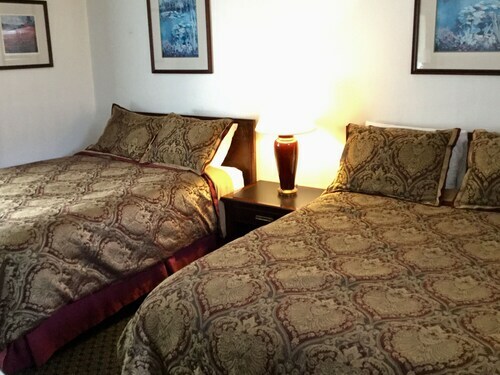 Situated in Mount Shasta, this hotel is 2.3 mi (3.8 km) from Mount Shasta City Park and within 9 mi (15 km) of Mount Shasta Ski Park and Mt. Shasta Nordic Center. Hedge Creek Falls and Tauhindauli Park are also within 9 mi (15 km). 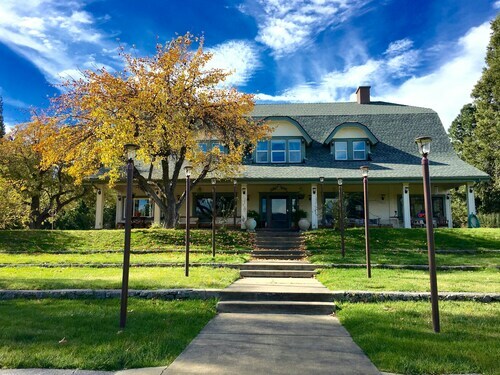 Situated in a rural location, this bed & breakfast is 2.8 mi (4.5 km) from Mount Shasta City Park and within 9 mi (15 km) of Mossbrae Falls and Hedge Creek Falls. Mount Shasta Ski Park and Tauhindauli Park are also within 12 mi (20 km). 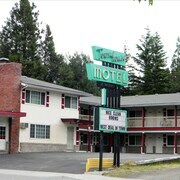 Situated in Mount Shasta, this motel is within 6 mi (10 km) of Mount Shasta City Park, Mossbrae Falls, and Hedge Creek Falls. Tauhindauli Park and Mt. Shasta Nordic Center are also within 9 mi (15 km). Situated on a lake, this spa hotel is within 9 mi (15 km) of Mount Shasta City Park, Mossbrae Falls, and Hedge Creek Falls. Mount Shasta Ski Park and Tauhindauli Park are also within 12 mi (20 km). Situated on a river, this historic motel is within 1 mi (2 km) of Hedge Creek Falls, Mossbrae Falls, and Tauhindauli Park. Castle Crags State Park is 7.8 mi (12.6 km) away. 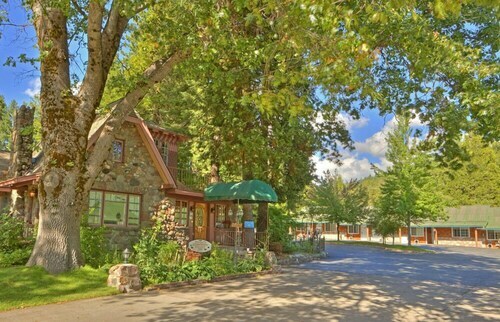 Situated in Dunsmuir, this hotel is within 1 mi (2 km) of Hedge Creek Falls and Mossbrae Falls. Tauhindauli Park is 1.5 mi (2.5 km) away. Those with a passion for learning will cherish Siskiyou Arts Council Gallery. It's a true cultural experience to feed the mind and soul! Not completely sure where to find it? Pull out your map and draw a circle around Mount Shasta. It lies around 310 kilometres from the capital of the state, Sacramento. 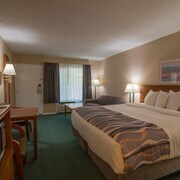 Within 3 kilometres of Siskiyou Arts Council Gallery, there are 5 listed hotels and apartments. 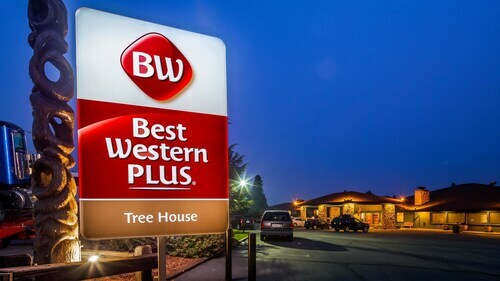 The Best Western Plus Tree House (0.5 kilometres), the Strawberry Valley Inn (a kilometre) and the Shasta Inn (0.9 kilometres) are all great possibilities. When it comes to finding accommodation that won't cost an arm and a leg, there are some good places to stay on offer. The A-1 Choice Inn is merely 2 kilometres away, and if that doesn't tick all the boxes, the Evergreen Lodge is only 2 kilometres away. When you need a nice coffee, make your way to Berryvale Cafe (305 South Mount Shasta Boulevard, Mount Shasta), only 0.4 kilometres away from Siskiyou Arts Council Gallery. Searching for some food? Say Cheese Pizza is located at 304 Maple Street, Mount Shasta, only 0.2 kilometres away. If you've been looking to spoil yourself with some pampering, Sacred Mountain Spa should be your first priority. If you decide to visit Lake Siskiyou, you'll be blessed with some impressive scenery. So don't forget your camera! Finish up a wonderful day on the piste at Mt. Shasta Nordic Center with a game in the snow with the kids. Take some snacks to Mossbrae Falls and make the most of the beautiful surrounds. 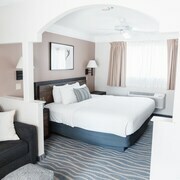 How Much is a Hotel Room in Siskiyou Arts Council Gallery? 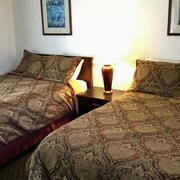 Hotels in Siskiyou Arts Council Gallery start at AU$76 per night. Prices and availability subject to change. Additional terms may apply.